Are you thinking about using SEO to increase website shoppers, customers and subscribers to your website? Search Engine Optimisation has the potential to send vast amounts of targeted traffic to a website. There are different approaches website owners take and they are usually split into ethical and unethical SEO strategies. Below are the main differences between these 2 SEO methods. Often referred to as White Hat SEO, ethical SEO uses on-page and off-page SEO strategies that comply with the rules of search engines like Google, Bing and Yahoo! Once you follow these rules, your websites keywords start to rank naturally over time. The most common ethical on-page SEO strategies include legitimate keyword optimization, adding keywords in the appropriate places, links to internal and external web pages, the use of images and videos, the inclusion of a sitemap and privacy statement and regular, high quality content publishing. If you use a popular CMS like WordPress, you can check how optimized your content is and make changes to keep the search engines happy. Recommended White Hat off-page SEO techniques usually include linking from other reliable websites to your website, guest posting, website link submissions to directories and adding links to any other external websites the search engines approve of. Unethical SEO or Black Hat SEO is the practice of using questionable SEO techniques that are usually aimed at tricking the search engines and using tactics that have been banned by the search engines. 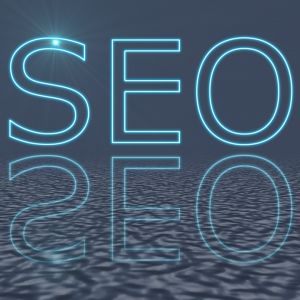 The most common unethical SEO strategies include unnatural linking to a website, spamming, creating scripts that are designed to fool the search engines and keyword stuffing, where a website contains hidden keywords that are inserted into websites to grab the attention of the search engines. When you implement Ethical SEO strategies, you are providing value in the form of high quality content and helping people who are interested in what you have to offer. This is not the case with Unethical SEO because the main aim of these shady techniques is to focus on getting the upper hand of the search engines and produce low quality content and linking that is of little use to anyone. In the past the difference between ethical and unethical SEO was blurred. As the search engines get smarter, there is a much clearer distinction between them. Wiser website owners and online marketers are realising that it’s a much wiser decision to play ball with the search engines and follow their rules by using ethical SEO methods. « What Can Small Businesses Do to Keep Up with the SEO Competition?